17. 02. 2019 13:38 19 (33 - Evans Elfyn / Martin Scott): It was good. A few small errors in places but in these conditions that's inevitable. 17. 02. 2019 13:30 18 (33 - Evans Elfyn / Martin Scott): Difficult conditions now, there is a clean line but its so fast it's difficult to know how much to push. 17. 02. 2019 13:22 17 (33 - Evans Elfyn / Martin Scott): Ok, I pushed pretty hard. 17. 02. 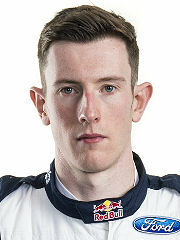 2019 04:18 14 (33 - Evans Elfyn / Martin Scott): We have to keep trying. Not the day we wanted today but we'll keep pushing. 17. 02. 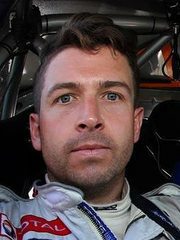 2019 04:09 13 (33 - Evans Elfyn / Martin Scott): A terrible stage to be honest. A mountain of oversteer, it was very difficult. 17. 02. 2019 04:00 12 (33 - Evans Elfyn / Martin Scott): Better for sure but still not perfect. We gave a way a bit in a few moments. 17. 02. 2019 03:48 11 (33 - Evans Elfyn / Martin Scott): Not the best morning for us. The feeling in the car is good but we we struggling to produce the speed. 17. 02. 2019 03:41 10 (33 - Evans Elfyn / Martin Scott): It was ok. A lot of changing grip conditions, difficult to read, but generally ok.
17. 02. 2019 03:34 9 (33 - Evans Elfyn / Martin Scott): Not perfect, struggling a bit with the front end in places. A podium is still possible, though. 17. 02. 2019 03:16 8 (33 - Evans Elfyn / Martin Scott): The afternoon was a lot better than the morning. I'm happy with what we achieved. We worked a lot on the car before the rally and we can all be happy with the work we did. It's a big fight now - we have to keep pushing tomorrow. 15. 02. 2019 17:12 7 (33 - Evans Elfyn / Martin Scott): The car is working well. I just put the front wheels in the ruts and tried to keep them there. 15. 02. 2019 15:58 6 (33 - Evans Elfyn / Martin Scott): Not perfect, but ok, we'll take that. 15. 02. 2019 14:31 5 (33 - Evans Elfyn / Martin Scott): So difficult. Some places extremely high grip and just a few with no grip at all. It's impossible to predict. 15. 02. 2019 10:05 3 (33 - Evans Elfyn / Martin Scott): Not ideal. It's felt better than that to be honest. We started well and I'm not sure why we lost the time here.